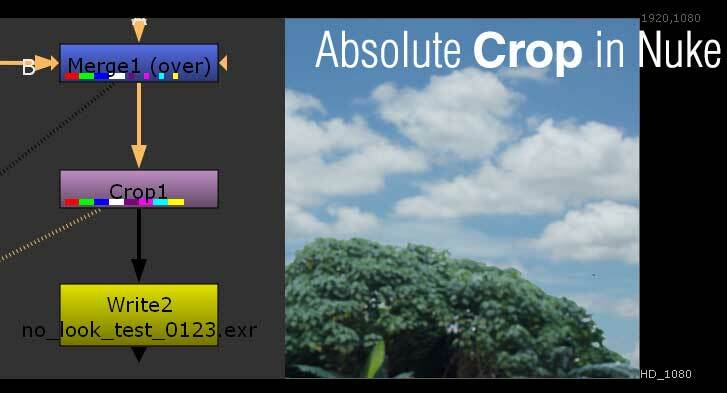 Looking for absolute crop in your final output? One can easily overlook this problem whenever you save out to EXR where it can retain the pixels information outside of your main composition. While there is an Autocrop function in Nuke write node, this absolute crop remove all pixels outside of the working area to ensure you don’t write a 4GB frame size. 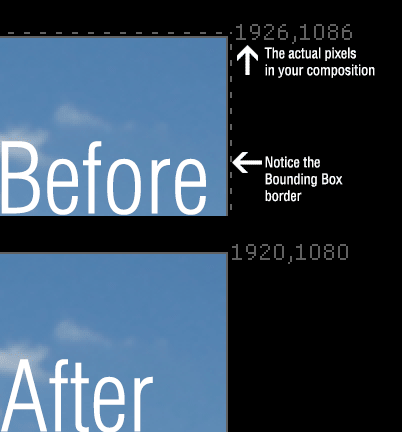 You can do this by using the crop node and crop to the final output size which is 1080p in this example. As seen in the above pic, you can easily spot if your current view is generating extra pixels by looking at the number located at the top right corner of your composition. The marching ants border indicate the actual bounding box of the extra pixels. By using the crop node, we remove the excess pixels and ensure an absolute 1920 x 1080 output when exporting out especially the EXR format.